Select an Oracle Cloud Hosting service below. The table at left displays the included features. Use the slider at right to select hosting location, Oracle version, and to scale up any resources. You can scale resources up or down at any time. Select hosting location, Oracle version, and additional resources. All Enciva Oracle cloud hosting packages include 100 Mb of Oracle tablespace. You can scale the size of you tablespace up or down at any time. Your choice of 11g Standard Edition or 12c Standard Edition. All Oracle Cloud Hosting plans include 2 Oracle schema/users. You can add additional schema at any time. 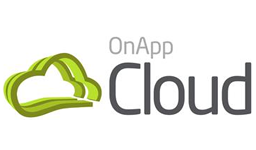 Enciva Oracle cloud hosting packages are built using OnApp Cloud technology, providing high availability, automatic failover, and the ability to easily scale any of your resources when you need to. All of our Oracle Cloud Hosting plans include unlimited domain hosting. Host as many domains as you need with a single account. Easily map your domains to your Oracle applications via our control panel. All Enciva Oralce cloud hosting packages include email hosting with unlimited email boxes. POP, POPS, IMAP, and IMAPS. Acces via Webmail or configure email with your phone, Outlook, or any compatible devices. Send and receive email via Oracle. Our feature-rich, easy to use control panel allows you to manage all aspects of your hosting, from file management, FTP, email, Java engines, databases, and much more. All of our cloud hosting plans include SSD disks for both the web and database tiers. SSD disks are up to 300% faster than traditional SATA disks. All of our cloud hosting packages include Continuous Data Protection backup servers, backing up your web and application files every 30 minutes. Free daily Oracle backups as well. All Oracle Cloud Hosting packages allow you to select between the Untited States (New York), United Kingdon (London), and Germany (Frankfurt). SSL Support is available for all of our Oracle Cloud Hosting services. We offer the full line of Comodo, GeoTrust, and Symantec. Or purchase your own SSL and we will install and configure it for you. All Enciva Oracle Tomcat, JBoss/WildFly, and GlassFish include private JVM with your choice of JDK version. All hosting packages include support for PHP, including OCI8 1.x and 2.x as well as PHP-MySQL and PHP-PostgreSQL. All hosting packages include support for Perl including DBD:ORACLE and cgi-bin. All hosting packages include support for Python including CX_oracle and psycopg2. All cloud hosting packages include SSH access as well as PIP and virtualenv. Unmimited MySQL 5 databases are included in all packages. Create and manage MySQL databases from your control panel. Unmimited PostgreSQL 9 databases are included in all packages. Create and manage PostgreSQL databases from your control panel. Easily create and publish complex, professional reports with JasperReports. Call your JasperReports securely from within your Oracle applications. Our Application Auto-Installer allows you to install 100s of applications such as WordPress, Drupal, Magento, NodeJS, and much more.. While we do offer discounts for semi-annual and annual hosting, all services are available on a monthly basis with no minimum contract. All of our shared hosting packages carry an unconditional, 14 Day Money Back Guarantee. If you do not wish to continue the service during this time, simply let us know and your purchase will be refunded. This does not include domain names, SSL, or other items for which you retain ownership as detailed in our TOS.